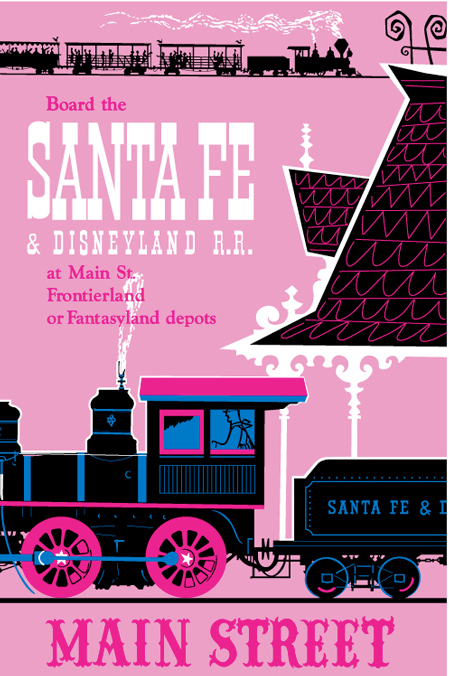 Anyone who has been to Disneyland will remember the large silkscreen attraction posters that line the walls of the two tunnels under the Disneyland Railroad Main Street station. In the mid 1990s, we were working with Walt Disney Imagineering on Encounter, the restaurant in the spider like building at LAX. 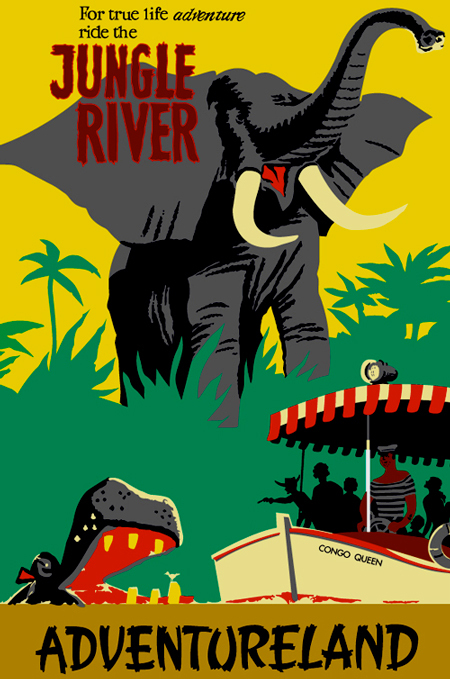 Eddie Sotto had a few of these posters framed in his office, and I spent most of our meetings not listening to him, but hypnotized by the posters. While Eddie did not let me leave with them, he let me know that they might be for sale at the Disney Gallery in New Orleans Square. And, yes, they were down there, but like cold medicine, not out in the open, but in a back office. My habit began. When I have guests, I often think I should have serious art: over-scaled photographs of Danish apartment buildings, small minimalist color field prints, and non-representational abstract paintings. 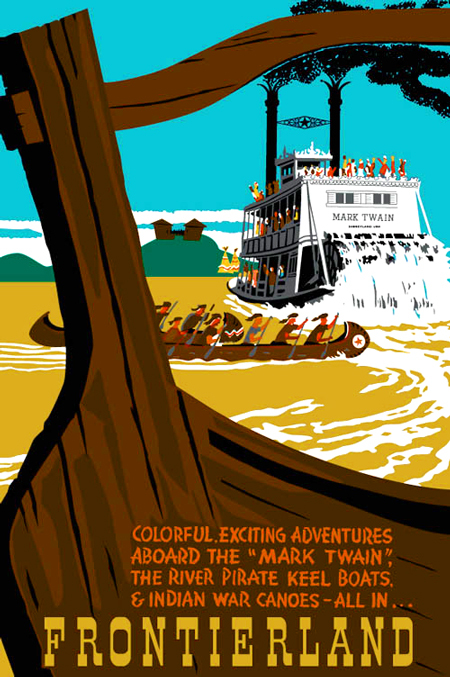 But I like the Skyway poster better. It’s not only the content, but the skill at making a story in one frame. 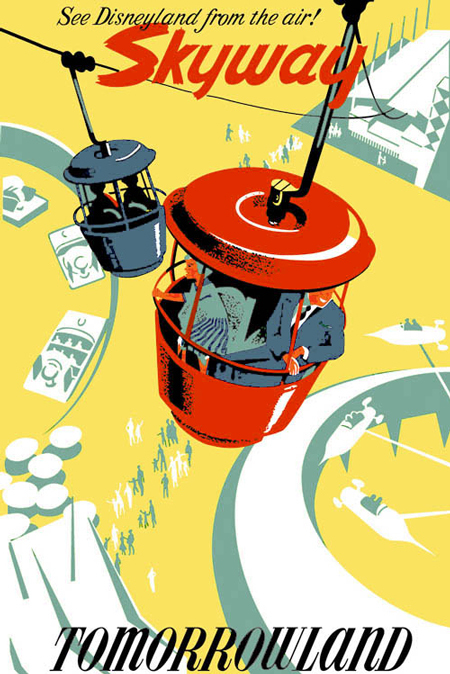 The point of view from above on the Skyway poster is genius. How many of us would have composed this scene from below? 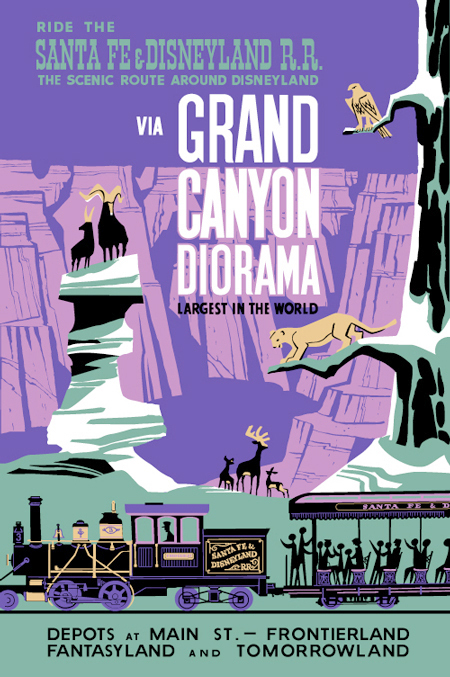 The scale change on the Grand Canyon Diorama poster suggests incredible grandeur and mystery. 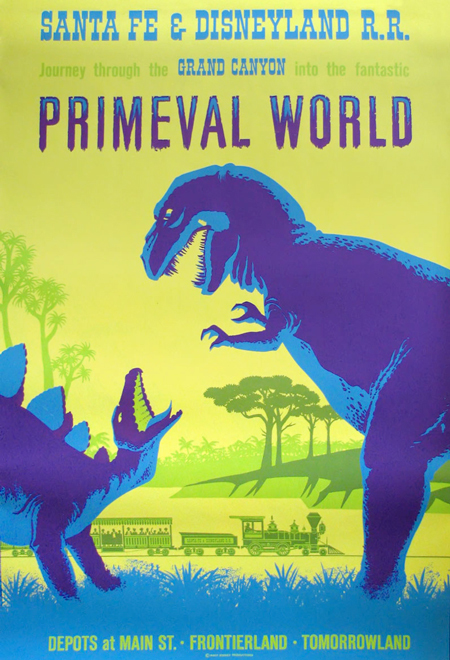 There are odd choices that work incredibly well: the color of the water on the Frontierland poster is ochre, and the dinosaurs on Primeval World are purple in a lime green world. 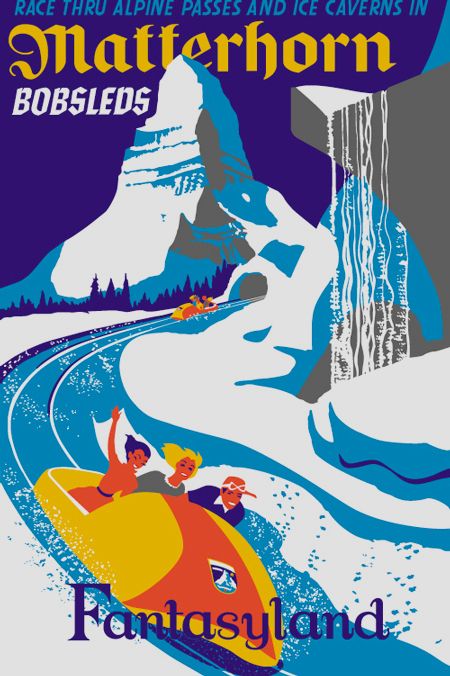 I love the use of foreground and background silhouettes to suggest distance or size such as the Matterhorn poster with the beautiful frozen waterfall. So if you visit me, don’t expect some high-falutin fancy art.